POLITICAL TIDBITS: In pleading for immunity for her children, Janet Napoles loses whatever little bargaining chip she has. Thus, we can’t expect all the truth to come out about her perpetrated scams as it will be tailored to administration’s liking. This could be reason why the very existence of Ben-Hur Luy’s hard drive files took months to disclose---were they being edited? There’s on-going battle royale at Pasay City’s RTC Branch 115 between former Sen. Edgardo Angara and renowned urban planner-architect Felino Palafox. In pleading for immunity for her children, Janet Napoles loses whatever little bargaining chip she has. Thus, we can’t expect all the truth to come out about her perpetrated scams as it will be tailored to administration’s liking. This could be reason why the very existence of Ben-Hur Luy’s hard drive files took months to disclose---were they being edited? There’s on-going battle royale at Pasay City’s RTC Branch 115 between former Sen. Edgardo Angara and renowned urban planner-architect Felino Palafox. Lopez’s article, written before the Supreme Court’s ruling rendering the PDAF unconstitutional, raised the question: “Can President Aquino run after Enrile, Angara, Bong, Jinggoy and Alan?” Juan Ponce Enrile, (Edgardo) Angara and Bong Revilla were the three top PDAF senators for 2007-2009, as per official COA listing (Enrile P904,500 million, Angara P862.645 million and Revilla P853 million), and quoted by Lopez in BizNews. Today, seven months later, it has become clear to all and sundry---except the most fanatical of P-Noy’s followers---that Malacanang and its minions are engaged in a cover-up of the massive plunder. It has become clear that the President is out to protect his allies implicated in the Napoles scam, even as the administration’s firepower is directed primarily against opposition senators Enrile, Jinggoy Estrada and Revilla, in a shameful display of selective justice. All this time, P-Noy has been shielding his allies---led by the chief of the office where all the squandered public funds for Congress and the LGUs have emanated from in the last nearly four years---the DBM under Secretary Butch Abad. In the light of the P10 billion that went to fake Napoles NGOs, media have failed to highlight the gargantuan pork barrel of LGUs, which this year alone has amounted to P361 billion---all sans veritable COA audit. This prompted Rep. Gary Alejano of the party-list Magdalo to demand that COA render the same scrutiny to those LGU funds as it sought to do with the PDAFs of 2007- 2009. Janet Napoles claims that Abad had taught her the rudiments of setting up bogus NGOs to lure the legislators’ PDAFs, and that their dealings go as far back as the late 1990s when Abad was a House member---which he has denied. What’s sad is that from all indications there has been no genuine effort to pursue the truth concerning funds channeled to other public servants, especially of the yellowest kind, such as Abad, Sen. Franklin Drilon (recipient of the second fattest Disbursement Acceleration Program or DAP fund in the Senate, whose constitutionality is pending before the SC) and Agriculture Secretary Proceso Alcala. Instead, the administration seems to prefer to blur and obfuscate the facts, and it's easy to see why: if the entire truth about Napoles and other NGO scams is fully revealed, the Aquino government could very well collapse under its weight (at the moment one can already feel the instability). As for the nation’s corpus, so much financial blood has been drained from it by official corruption---aside from the P10 billion that went to eight bogus NGOs of Napoles, there's the still-to be computed amount funneled to 64 lesser non-Napoles fake NGOs. This explains its frightfully emaciated state---so much poverty especially in city slums as well in as the rural countryside where, with few exceptions, things are at a virtual standstill. To begin with, it appears that the Liberal Party had tapped this polluted source for its campaign funds in 2010 for candidate P-Noy and in the recent senatorial elections of 2013. Denials have been made, but the public is convinced about the LP conspiracy with Ma’am Janet in the elections---given all those cozy photos showing her and her daughter with LP bigwigs that have circulated in social media. LP campaign banners in various areas announced her valuable presence. And of course, the special treatment accorded to her at the Palace and in Crame where P-Noy personally escorted her for custody. 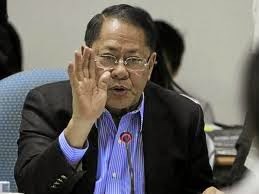 The grand cover-up is achieved principally by confusing the public with conflicting lists of scams and scoundrels, including a list from Rehabilitation Czar Panfilo Lacson, who seems to prefer the limelight derived from dangling the list supposedly from Janet's husband Jimmy, rather than to get devastated Visayas back on its feet. There’s a grand build-up about the affidavit of Janet Napoles, which is supposed to be a written and sworn version of what Justice Secretary De Lima extracted from her in a “tell-all” marathon confession for five hours five weeks ago---just before she went under the knife for uterine surgery (probably already sedated. Was a credible 'confession' still possible?). De Lima promised to make the affidavit public tomorrow, but we can’t really hold our breath on it or its veracity. Recall that weeks after that tell-all session, De Lima kept saying she was still “vetting” the sins Napoles had confessed at Ospital ng Makati. Consider too the following: after the song-and-dance act of the Three Furies (De Lima, COA Chief Grace Pulido Tan and Ombudman Conchita Carpio Morales) many months ago, Tan, under heavy public pressure, promised to reveal the sequel to the 2007-2009 list, but she never got around to it. On the other hand, the lead prosecutor against public graft and corruption, Morales is apparently not in a hurry either to prosecute any scalawag, as she left for the US to attend a seminar (on what?) for one and a half months ! CBCP President Socrates Villegas has exhorted the administration to pursue the truth about the scams and for all the political scalawags to return the dirty money they received from Napoles at al. But tracking the truth is tough, especially since Napoles can’t afford now to tell the entire truth about her special friends in high places, for one good reason---she’s seeking immunity or at least a lighter punishment for her children. Hence she has to toe the administration line and incriminate or exonerate whoever it wants her to. It’s no stroke of brilliance to predict that Ma’am Janet would exclude majority of the presidential bigwig allies from her list, except perhaps for one or two small fries to be thrown in for credibility (who shall the sacrificial lambs be?). To ensure that there won't be any contradictions, remember that the hard drive files of whistle-blower Ben-Hur Luy have been in the possession of the NBI, which is under De Lima's jurisdiction, all this time. Just why the Senate Blue Ribbon Committee failed to demand these files from Luy when he appeared before it months ago is a wonder---but then, it’s really no wonder. That committee has changed its color from blue to yellow, with chair TG Guingona exonerating the administration even before the conclusion of his hearings. Thus, when presidential spokesperson Abigail Valte very haughtily snapped last Friday that Janet “should put her money where her mouth is” (by the way, that’s language unbecoming of Valte’s office), that was a naked threat to Janet. There’s a battle royale going on at the Pasay City RTC, Branch 115, between former Sen. Edgardo Angara and renowned architect-urban planner Felino Palafox Jr. The architect was hired by Angara to develop the Aurora Pacific Ecozone and Freeport Authority (APECO) in Aurora province on the Pacific side, the Angaras' pet project. But their relation eventually soured and Angara didn't like some of Palafox's public pronouncements about APECO and his person, and hailed him to court for libel. Atty. Ribo cited that during continuation of the pre-trial last April he demanded from Angara’s lead counsel, Atty. 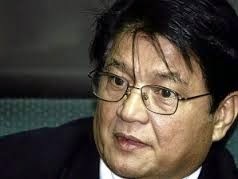 Leonard de Vera, that he produce his special power of attorney (SPA); but instead of De Vera confirming with the defendant’s counsel’s request, it was the judge himself who demanded Ribo’s production of his SPA and scrutinized it, whereas he did not do so with De Vera's SPA. I can see some justification in the claim of Palafox about the lack of neutrality of the Presiding Judge of Branch 115. In one of those hearings some months ago, Palafox asked some media friends to cover the presentation of arguments. Before the start of the hearing De Vera stood up to plead that it be a closed-door session and everyone with no direct interest in the case be sent out, as there could be “sensitive matters” to be taken up, he said. I thought De Vera’s plea was out of order, as what’s involved in the construction of APECO---which has become a white elephant owing to its location in a typhoon belt on the Pacific side---are public funds (more than P3 billion at last count). Ribo tried his best to counter De Vera’s argument, but the judge appeared to be hardly paid attention to the heated exchange. Then quickly he upheld De Vera’s motion and all the spectators had to file out of the court room, except for the lawyers and Arch. Palafox. Secret masyado. I thought that episode was one clear indication of how ACCRALAW has become so legendary in our judicial system.